Dreaming of France: What's on your Must See list? Except for Fridays, when I post my virtual walk of London, I usually post memoir here. Today is different. Hoping to make some new memories, memories I’d like to write about, my husband and I are back to thinking seriously about taking a trip abroad this year. London, Paris, the south of France, Rome and Venice are all being talked about. I was born in London but haven’t been back since the 80’s. Since I write a post every Friday about London, I’d say it’s time I got back, wouldn’t you agree? My husband, a massive Sherlock Holmes fan, has never been, and is dying to see Baker Street and many of the locations he knows so well from Sir Arthur Conan Doyle’s books. So that’s a must. Paris. Mais oui! To go walking along the Seine together, browsing the kiosks, the used booksellers, the art, to pick out a print to bring home, a souvenir to frame and hang in just the right place. To visit Montmarte, the Moulin Rouge, Notre Dame, the Left Bank, to sit at a cafe sipping coffee or wine, just breathing the air, watching the Parisians walk by. The Musee D'Orsay. The Louvre. The Eiffel Tower. Although I don’t know if I’ll be able to get him to go up the Eiffel Tower and you don’t have to tell me it would be a shame for him to miss that view but heights don’t thrill him. 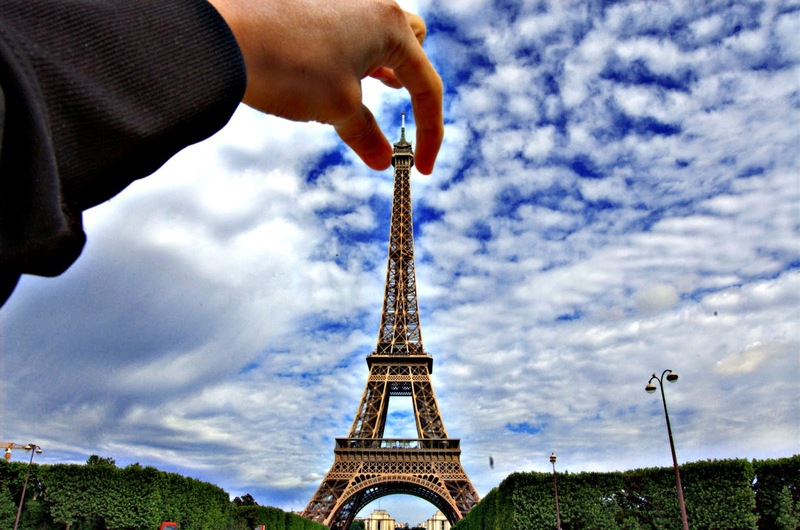 We will most certainly see the tower and probably do that hokey touristy thing, using forced perspective to make it look as though we’re holding it in our hands. Because this is an introductory kind of trip—and we want to get to Italy too—we’re thinking of spending just 4 days in Paris before we train it down to the South of France. I know that’s not nearly enough time to see the City of Lights but unless we come into a windfall (yes, please!) that will have to do. Any ideas as to how to best spend those very few days? One more question—for now, but I reserve the right to bug you for travel advice in the future—where would you suggest we stay in the South of France to capture that relaxed, beachy vibe the Cote D’azure is famous for? My birthday is May 28th and we’d both like to spend it by the sea. Cannes, Nice, St. Paul de Vence and Monte Carlo are all places I think he needs to at least see, so we’d like a place we can use as a base for half day trips plus relax with a book at the beach—if that’s at all possible. Following in F. Scott Fitzgerald’s footsteps would be as much fun for me, as seeing where Arthur Conan Doyle got his inspiration, will be for my husband. 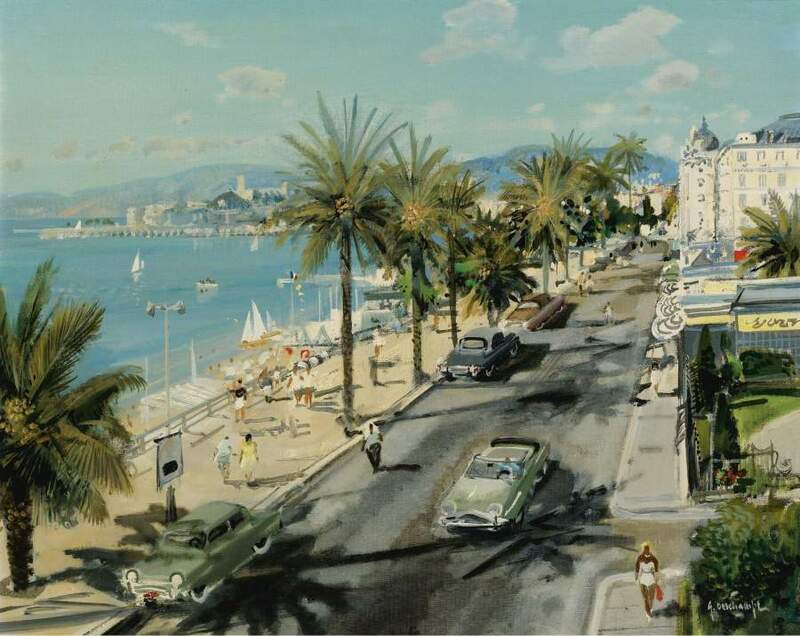 Some of you have read a few of my stories that trace back to a trip to Bandol when I was a girlish 20. My sister and I stayed at a very inexpensive pension and while we dreamed of returning one day and staying at the Golf Hotel, I’m torn about returning now with my husband. I think I’d rather let my memory stand, rather than tarnishing it with a new reality. I’m saved from making the decision, the hotel is booked. Any ideas of affordable places where we can get our St. Tropez tans on? What’s on your list of must-see places to go and things to do? Link up with Paulita at An Accidental Blog where every week she invites fellow bloggers to share their love of France with her Dreaming of France meme. Yes, Paulita, this week I really am Dreaming of France! Earl and I will be in Paris from May 19-21 if you want to scoot your days forward and rendez-vous with us. Thanks Paulita, it would be fabulous to meet up with you and Earl in Paris. We'll see how the timing works out. Thanks for the rental recommendation, unfortunately the place she rents out is for a larger home —sleeping up to 8 people—and seeing that it's just the two of it's probably a bit of a stretch. I guess it wouldn't hurt to contact her though, just in case. It's upsetting that fear of terrorism is making that kind of impact.